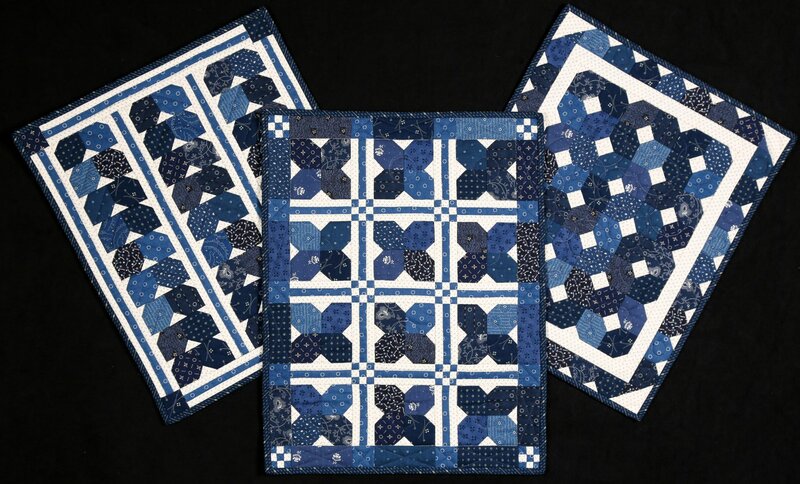 Blue Ridge Trio makes for a wonderful doll quilt, table topper or wall hanging. Three different block layouts are included in the pattern. Sizes are similar with the largest measuring 14" x 18 1/8".